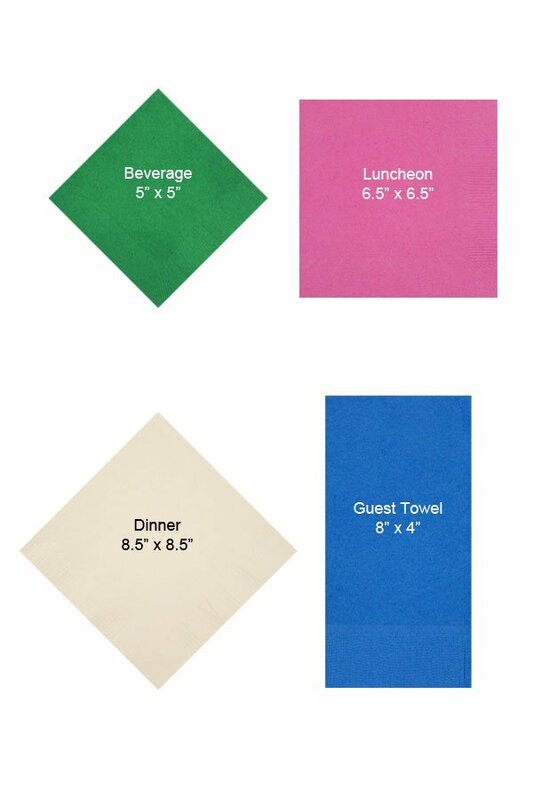 Custom printed 3-ply paper birthday party napkins are available in beverage, luncheon, dinner, and guest towel sizes. Choose from nearly 30 popular napkin color options to match your birthday party theme. 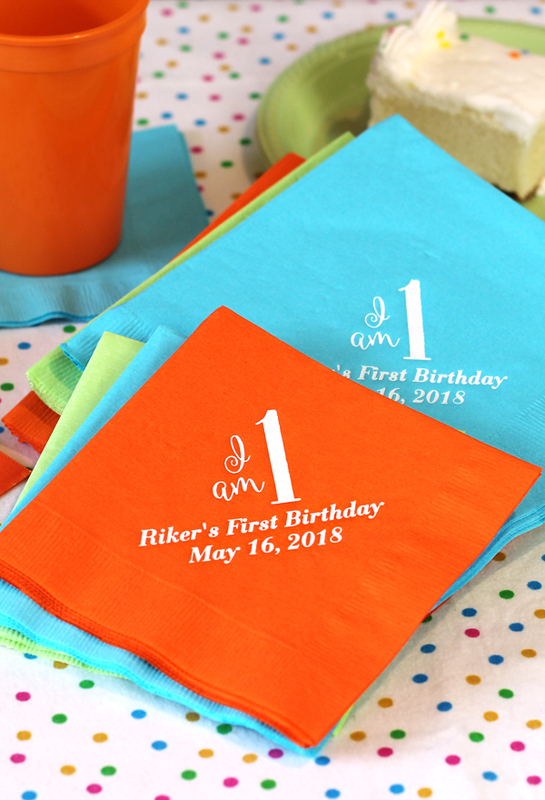 Napkins are custom printed with the birthday party design of your choice and up to three additional lines of text. A member of my church is turning 100! Of course we have to have a big celebration for her. The napkins will be a nice addition to our party. Fast service and fine quality. I love the way these napkins turned out!! I couldn't have been happier. I ordered them in black with gold stars and "Vintage 1976" written under the stars. This was for a surprise 40th birthday party and the napkins added elegance. very attractive and high quality. Excellent customer service. I ordered them for my daughters birthday party & they couldn't be more perfect! I was very happy with my purchase. They arrived quickly and were exactly what I ordered! I ordered napkins for my son's first birthday party & they turned our awesome! I was very happy with the results.